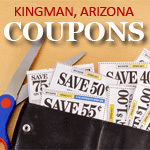 Escape the winter storms in beautiful Kingman, Arizona! Are you tired of getting your home ready for winter weather, the snow, sleet and ice? Had enough of furnace inspections and stocking up on furnace filters? Don't want to worry about the pipes freezing? No more having the fireplace cleaned each year, buying firewood or really expensive heating oil, looking for air leaks around cold windows and doors, and putting in weatherstripping. Are you tired of taking down the summer screens and putting up the storm windows, cleaning the gutters, adding extra insulation, servicing or tuning -up the snow blower, buying a new snow shovel, stocking bags of ice-melt/sand, worrying about carbon monoxide, draining the garden hose, and securing the air conditioner for winter? Then perhaps it is time to get away from the terrible snow storms of the mid-west and northeast USA, and the bitter cold of Montana, North Dakota, Minnesota, and upper Michigan. Then there is the damp miserable cold of Ohio, Indiana and Pennsylvania. Why live in these unpleasant conditions another year? Why shovel snow, drive on bad roads, and worry about ice storms? Blizzards kill and maim many people during the winter season. 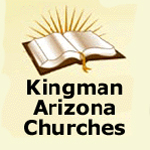 Move to Kingman, Arizona and throw away the snow shovel and heavy, bulky winter clothes. Come to where the sun shines most of the time and will put a smile on your face. 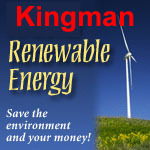 Kingman is located at 3,500 feet, high enough to get away from the excessive heat of the southern states, low enough to get away from the snow. By the way, the snow season in Kingman usually lasts for one day between the hours of 6 and 8 am, so if you want to see it you will need to get up early. Why put up with this? Come and visit sunny and warm Kingman, Arizona! Our snow season usually lasts about an hour one day a year. You will want to stay! Are you living in a high risk area for natural disasters?